As you are probably aware, the community aspect is very important in a social game. On this page, we'll be giving you several names of people that you can find to make some friends and get some advice. CodeLyoko.fr is the central site of the community. Its mission is not to be a platform for the social game though, even though we have created several pages for the social game. The site does not have a system for the CLSG. On the other hand, on the forum, you can go to the section dedicated to the social game. There, you can find fans who are certainly playing the game and who will be willing to discuss it with you. 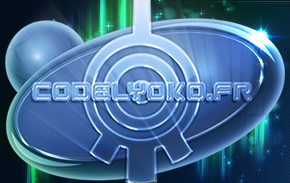 Moreover, CodeLyoko.fr also has an exclusive code that you can use in the game! Click on the image below to access it! What's even more adapted for discussing the community of the game is Facebook! A group of fans and gamers have created a group there. It is named "Les Lyokonautes du Social Game". This group is really large. There are a ton of players there, most notably those who are even counted within the best of the world as well as those who are studying the functioning of the game. To join them, click on the banner below. Christophe Da Silva : Community Manager of 3DDuo, he presents in the group, listening to us and trying to satisfy us as best as possible. He is aware of what players want, reassures them and tells them what 3Dduo can do or not. In conjunction, he knows he can count on group members to report bugs, and also to give their opinions on the game rules to improve the game further. Shana Lightsword (TRPGaming) and Pierre Pinon (Zragg): They are the creators of the blog that regroups together a lot of information and various details about the game. They are well known for their initiative in creating the list of equipment from the game and for their leadership within the group. A part-time human calculator, Pierre prefers to stay in the background and let Shana take care of presenting the calculations and relative theories of the game to the group. A word from them:A real scientist knows to own up to their errors and learn from others. Benjamin Gido (Nelbsia) and Adie Wibisana: They are known for reaching the highest of levels quicker than others. They have both an important role in the completion of the equipment list. Benjamin is already known for his remarkable qualities as an illustrator for the site. As for Adie, he did the majority of the English translation of the main documents for the other players. They are the first to have battled the Scyphozoa during the update in September 2013. 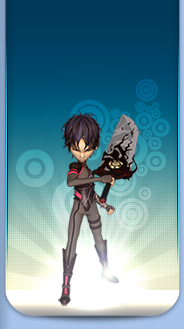 A word from Benjamin (Nelbsia): When I see the success of the CLSG on Facebook, I think that Code Lyoko clearly deserves a large MMO. Virginie Caby (Vivi): Although she started later in the adventure, Virginie has quickly managed to climb the rankings and get a place among the most requested players. Her documents, notably the complete list of missions, and her help, have earned her an honored place amongst the players. A word from Virginie: Let's just say that I wasn't expecting to find myself here^^. I never thought that this would be the case when I started up the game, and I'm so happy to have been able to help other players from the social game and CodeLyoko.fr. This also goes out to all the members who weren't named here who have in one way or another contributed through their actions, as simple as they may be, through each of the projects or through guiding new players. And without forgetting past members who stopped playing but who were among the best contributers we have come to know from the game.